I'm a big man. I can admit when I'm wrong. Perhaps I was a bit hasty after the Bucs game. Mike McCarthy seems to have injected a sense of urgency into the Packers since my last post. Rodgers and the line has decided that they're done taking sacks and are willing to take intentional grounding or holding penalties over one if at all possible. The short passes are back, and the defense has recaptured their preseason form. So he's pretty much answered my every beef. In fact, without that loss to put their backs to the wall, I'd wager the Packers don't beat the Cowboys last week. Not only did that loss not spell the end for the Mike McCarthy era, it may have jump started it. So Mike, you're pretty much off the hook for now, and I'll clean my plate. But just as things start looking up, Dom Capers suddenly finds himself under the microscope, and it's not because of anything he did. Turns out Al Harris and Aaron Kampman have probably played their last snaps of the season,and perhaps as Packers, courtesy of a couple blown out knees. And while you can make the argument that the Packers wouldn't miss much without Kampman in the lineup, the loss of Harris is enormous. It showed immediately. Alex Smith picked on Tramon Williams repeatedly, and we were reminded that, unfortunately, Jarrett Bush is indeed still on the team. Because of these shortcomings, Woodson is handcuffed in coverage. And this is a problem. If Charles Woodson isn't free to roam the defensive backfield, Dom Capers' defense suffers a huge blow. Capers has been playing out of the nickel quite a bit recently to allow Woodson to blitz at will, and that unpredictability has been a huge reason for the Packers recent defensive dominance. Without that and combined with the downgrade in coverage, things could get ugly. Thankfully for him, its likely that the Packers can get by with their current personnel this Thursday. Yes the Lions put up a lot of points on the Browns, but A) its the Browns, and B) if Brady Quinn and the Browns can put up 37 points on the Lions, the Packers should be able to double that. So he has a couple weeks to come up with a new plan of attack. Ahmad Carroll (right): Recently released by the Jets. Hmm, special teamer who looks lost in pass coverage and commits stupid penalties? We already have one, thanks though. Joey Thomas: ...let's hope it doesn't come to this. And don't worry if you don't remember him. There's a reason. Jamar Fletcher: Intriguing because of his state ties, but there are two problems: he's a bit undersized and he never was a Packer so he doesn't really fit the bill. Mike McKenzie (left): Here we go. 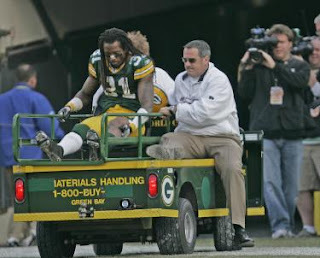 Yes, he had his issues in Green Bay in the past, but that was with Mike "The Pear" Sherman, and I think disdain for Sherm is something he'll share with today's Packer fans. 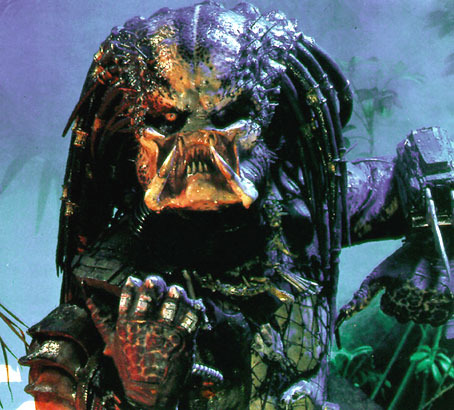 He's physical, experienced, and has the dreads necessary to fill Al's position. The only problem I can think of is I seem to remember him being dumb as a box of rocks in interviews, but when you consider the alternatives, I'll take it. So you heard it here first: Mike McKenzie, you're the next contestant on Ted Thompson's "Green Bay, This Is Your Life." PS - I do realize I missed one. Let's just say if Terrell Buckley signs this week, I've got a grocery bag with eye holes cut out of it waiting in the closet. It'll be hard to eat Thanksgiving dinner wearing it, but I think it'll be worth the effort.